What about those western towns? 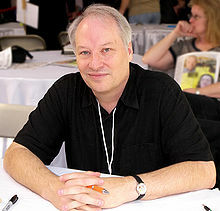 Joe R. Lansdale has had a pretty storied career (pun intended.) 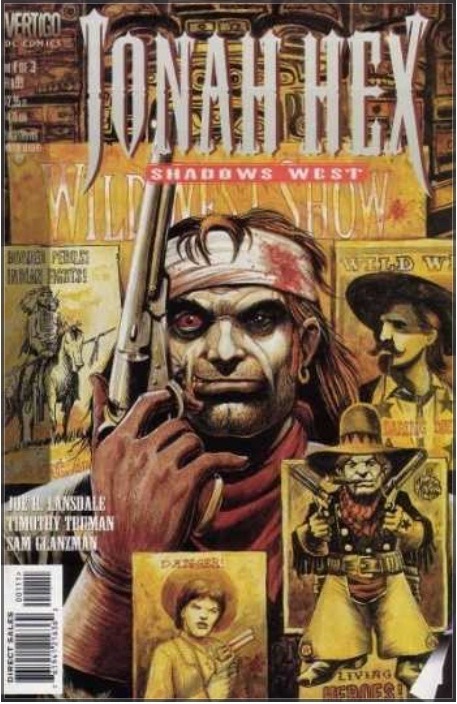 He has written in multiple genres: horror, science fiction, mystery, superhero comics, and (of course) westerns. 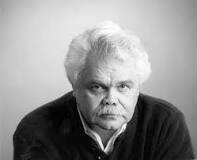 Along the way he has won all kinds of recognition: the Edgar Award, eight Bram Stoker Awards, the British Fantasy Award, and the World Horror Convention Grandmaster Award. And the Horror Writers Association’s lifetime achievement award. Lansdale is also a martial arts instructor, and is in both the United States and International Martial Arts Halls of Fame. 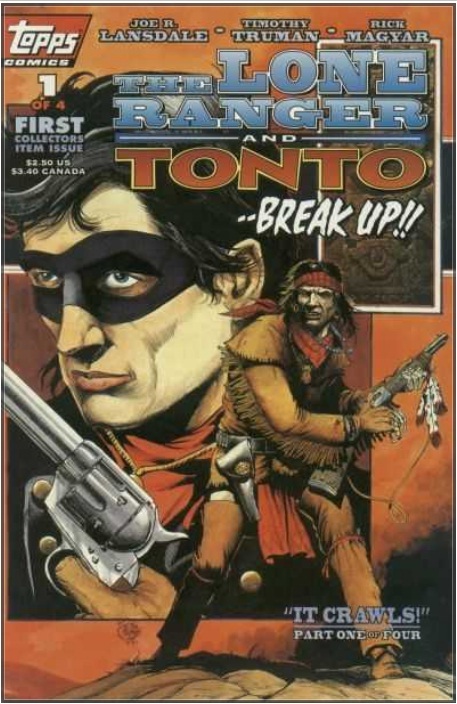 I first discovered him in the early 1990s, when he wrote the first of three Jonah Hex miniseries for DC Comics, and, for Topps Comics, The Lone Ranger and Tonto. This led me to seek out his prose, and I was glad I did –his novella "Bubba Ho-tep" (later made into a movie starring Bruce Campbell) immediately became, and remains, one of my favorite stories of all time. "Incident on and off a Mountain Road" ranks pretty high on my list, as well. Joe has been gracious enough to come visit us today, and answer a few questions about his work. What writers have influenced your work the most? So many it’s hard to list. I loved early on Twain and Jack London and Edgar Rice Burroughs (he is my sentimental favorite writer), Robert Bloch, Raymond Chandler, James Cain, Dashiell Hammett, Ray Bradbury, Charles Beaumont, Richard Matheson. Jack Schaffer’s SHANE, Fred Gipson’s novels OLD YELLER, SAVAGE SAM and HOUND DOG MAN, the first two especially, Kipling, Flannery O’Conner, F. Scott Fitzgerald, Hemingway, some Faulkner, Larry McMurtry, primarily the novels that more directly related to the West, Brian Garfield, who seems to be mostly forgotten these days, Thomas Berger’s LITTLE BIG MAN, and I liked a lot of his other novels as well. Charles Portis, man, the list can go on and on. At different times in my life different writers have influenced or inspired me, and at other times a whole different group, and then finally I found my voice, but that doesn’t keep me from still loving those writers, and certain ones I reread frequently just to clear the palate and for the most important reasons. I like good writing and I like good stories. You’ve written Jonah Hex and the Lone Ranger- are there any iconic western characters, comics or otherwise, you’d like to tackle someday? I also wrote the lesser known Marvel Western character Gunhawk. It was a short piece for Western anthology they did. 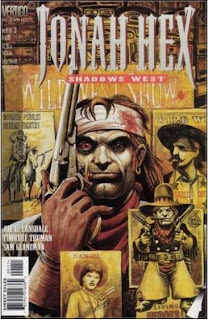 I created a Steam Powered Cowboy for them as well, and I wrote a kind of moody short Zorro story for a Zorro Anthology. There are plenty of other Western characters in my own work. 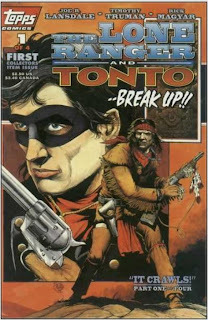 As for comics, I think Tomahawk was one I wanted to do, or the original Ghost Rider. But in many ways I feel like I’ve moved on and am wanting to do my own work exclusively, which is what 98 percent of my work has been anyway. Still, I’m glad I had the opportunity to write about those Western characters, and I never say never. Something came up that I really wanted to do, well, I just might do it. One of my own stories, THE CRAWLING SKY, was recently adapted to comics by my son, Keith, and that’s cool, to see the story come alive in that form, as well as the original story. 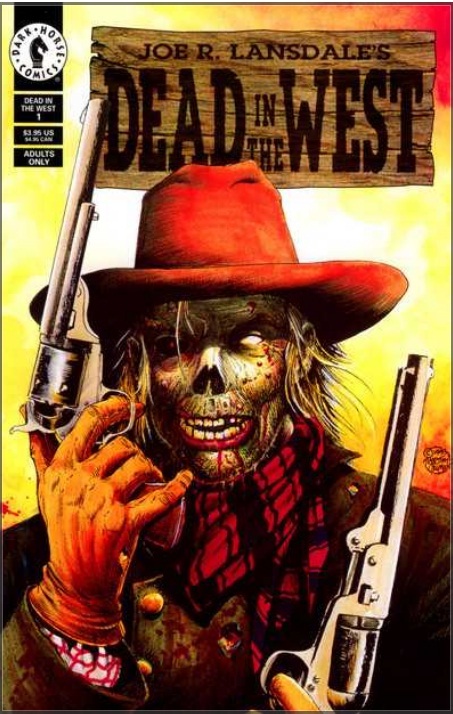 The character is my Reverend from DEAD IN THE WEST and several novellas and short stories. “Weird Westerns” have grown increasingly popular in the last few years- why do you think yours have been so well-received for so long? Weird Westerns are really a very small part of my output, but fortunately most of the Weird Westerns I wrote impacted the field. 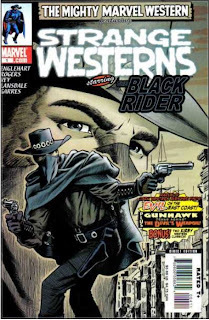 I keep getting emails, letters, books from writers who read either Dead In The West, or one of my comics, something like that, and said, this led me to loving Westerns, especially Weird Westerns. 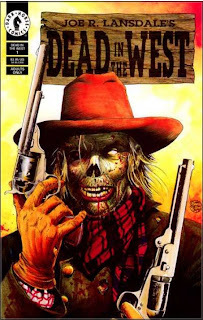 I think the Western is so mythic to begin with, and adding horror elements makes it an even more amazing kind of myth. Of course, truth is, I love traditional and off-beat, but not supernatural Westerns even more. A new book of mine coming out this fall is something of a Western, THE THICKET, but it doesn’t contain any supernatural or fantastic elements, though it isn’t exactly traditional. You write in a lot of genres- how do you approach a western differently? I write in all genres the best I can. I don’t always know what it is I’m going to write until I start, but as for voice, I find that I often feel more comfortable writing about historical periods. My dad, long gone now, was born in 1909, and his voice, the stories he told me about the Old West, about growing up, about The Great Depression, the stories my mother told me, my grandmother, who was born in the 1880s and nearly lived to be a hundred, had actually seen Buffalo Bill’s Wild West Show when she was a child. 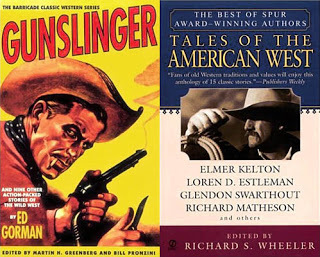 I also grew up on TV Westerns and Western movies, read some Western short stories by O’Henry, Bret Harte, Twain had a few, though I didn’t actually start reading Western novels regularly until I was in my late teens, early twenties, and at first Max Brand and Zane Grey, but then I discovered Glendon Swarthout’s THE SHOOTIST, THE OUTLAW JOSEY WALES, by Forrest Carter, and SHANE by Jack Schaffer, LITTLE BIG MAN by Berger, and I wondered what had kept me from reading Westerns all along. I started devouring them after that. I also love reading Western history, and that’s something I always did read growing up, even before I was reading Western novels. So, a lot of my research was done early, though, of course if I feel I need to know something I make a point of looking it up. 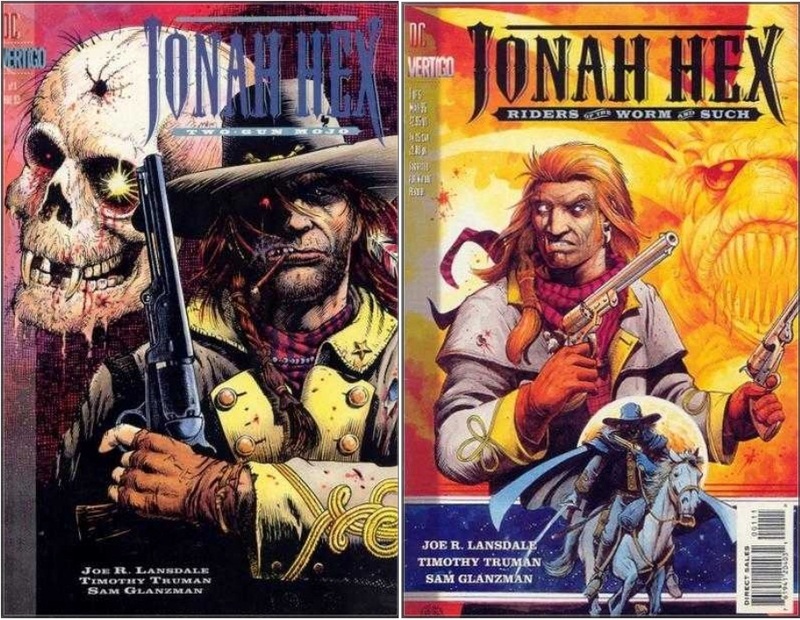 I much preferred your East Texas approach to Jonah Hex than the other (very convoluted and unbelievable, in my opinion) approaches taken by other writers. What makes an East Texas western character unique when compared to other regions, do you think? Thanks. Well, I think East Texas is such a mixture of cultures, and unlike the rest of Texas it is wooded and has lots of water, and is something of a less swampy Louisiana, though we have a bit of that as well. We’re a cross between Southern Gothic, Western, black and Indian and Mexican and Cajun culture. It’s unique, and very much unlike the rest of Texas. What is the hardest part of writing a western? All books are as hard or easy as the other. I don’t feel anything that especially hard about the genre, though that doesn’t mean I don’t work to make it as good as I can make it. I do. 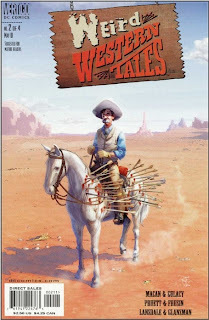 In some ways, Westerns are among the easiest things for me to write, and I’m surprised I haven’t written more of them, and hope to write more in the near future. What projects of yours, out now or coming up, should we know about? 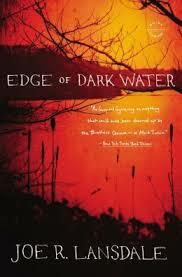 Well, the early 20th century Western/Fable, THE THICKET comes out in September, but right now, just out in paperback is EDGE OF DARK WATER, a novel about 1930’s East Texas, crime and Southern Gothic, and a journey novel. I’m really proud of both of them. William M. "Bill" Tilghman had one of the most illustrious careers of any Old West lawman, serving as sheriff, town marshal, and deputy United States marshal in some of the toughest places west of the Mississippi. But he faced perhaps his greatest and most dangerous challenge when he rode alone into the wild Oklahoma Territory settlement of Burnt Creek on the trail of a gang of rustlers and outlaws with some unexpected allies . . . THE LAWMAN, by New York Times bestselling author James Reasoner, is the first novel in a new series from the Western Fictioneers, West of the Big River. These are brand-new, original short novels inspired by real-life characters and actual events from the exciting, colorful history of the American frontier, written by today's leading Western authors including Robert J. Randisi, Michael Newton, Jackson Lowry, Frank Roderus, Bill Crider, Matthew P. Mayo, James J. Griffin, and many others. Don't miss any of these action-packed short novels that showcase the best of the American West! He still hadn't gone to sleep when he heard what sounded like thunder. He was lying on his back, so he could see the whole sweep of the sky above him, and no clouds obscured the millions of stars in that vaulting black arch. 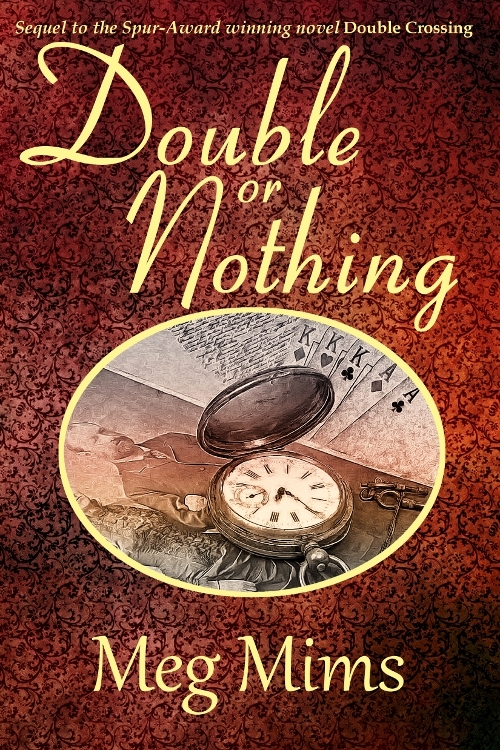 That couldn't be thunder, Tilghman thought as he sat up and instinctively reached for the rifle beside him. And then suddenly he knew what was making that sound. I grew up a child of the 50’s. Black and white TV, Saturday afternoon matinees, and ACE Double Westerns for 35 cents. It was a wonderful time, chock full of cowboys on the small screen, in the movie theatres and dominating the book shelves. It was a time filled with anticipation. The only major disappointment was in finding out the Saturday matinee was going to feature Eddie Dean. 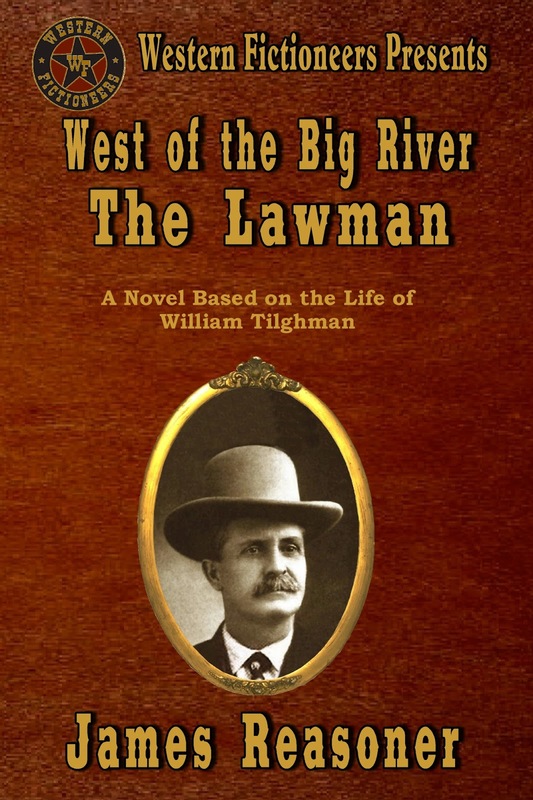 James Reasoner’s new book about Bill Tilghman, the premiere entry for Western Fictioneers West of the Big River, is filled with that kind of great anticipation. The story is filled with unexpected twists and turns. 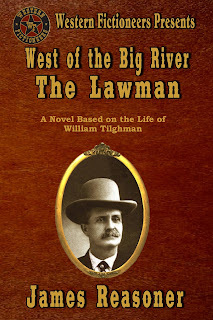 Tilghman comes leaping from the pages as a character who is entirely believable; a no-nonsense lawman with an innate sense of justice who provides a wonderful surprise in his resolution of a unique problem. Yep. Tilghman not only thinks outside of the box, he reacts accordingly. And occasionally loses a fight. This book is a real page-turner; a delight from beginning to end. Today I'm going to highlight the second unit in a three-way tie for my all time favorite western short story -last month I talked about the first, "The Last Boast" by Dorothy Johnson. This time around it is Ed Gorman's "The Face," winner of the 1993 Spur Award. It was anthologized a couple of times in the 1990s, and I think I may have seen it for the first time in the pages of Louis L'Amour Western Magazine, if I remember correctly. I am posting links below to two mass market paperbacks, long out of print, where you can find the story if you get 'em used... if it is available in digital form, and/or in a way that'll make Ed a buck if you buy it, someone please let us know. I am going to throw around some superlatives here. Ed Gorman is one of the best writers alive today, in any genre. I'm far from the only person to feel that way, I am sure. And this work is one of his best -in fact, in my opinion it is one of the best short stories written about the American Civil War, ever. It is a profound, disturbing, thought-provoking, poetic, and subtly terrifying tale. In his introduction of the story found in the book mentioned above, Richard S. Wheeler said: "It is the most haunting study of men at war that I have ever read. It brims with horror and beauty and darkness and evil." I can't really give much away -in large part because Gorman's artistry in this particular work has little to do with plot and everything to do with tone and atmosphere. In a nutshell, though, "The Face" is about the effect on a Confederate military camp when a wounded man is brought in, immobile, an empty shell of a person, really -with his face seemingly permanently frozen into a horrifying expression that defies definition. The reader soon intuits that those features reflect all the horrors and grief of war in human experience. The soldiers, and the reader, are -to put it in contemporary terms -freaked the frack out. As we should be. If you haven't read the work of Ed Gorman, this is a good place to start... but so is anything he has written, really. 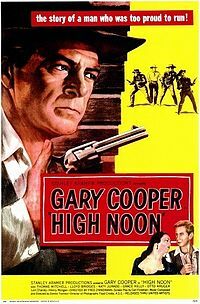 I have to admit -here we are, four entries into our monthly Saturday Matinee feature, and I am really surprised no one has talked about High Noon yet. But on the other hand, that's a good thing, because it means I can. And I wouldn't be alone. The American Film Institute has ranked it #27 on its list of greatest movies, #2 in their list of westerns, and Will Kane as #5 on their list of greatest cinema heroes. Bill Clinton has proclaimed it his favorite movie of all time, and screened it in the White House 17 times. Eisenhower and Reagan loved it, too. The film was released in 1952: directed by George Zinneman, produced by Stanley Kubrick and Carl Foreman (who wrote the screenplay), featuring an Academy Award winning classic theme song ("Do Not Forsake Me") and winning Gary Cooper his second Oscar. Katy Jurado won a Golden Globe for her role as Helen Ramirez. Most of you have seen it, I'm sure, multiple time. 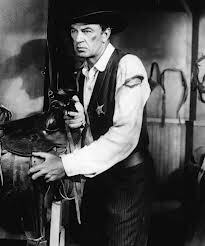 Gary Cooper is Will Kane, marshal of a small town called Hadleyville. It is his wedding day -he is marrying a Quaker girl, played by Grace Kelly, and has promised her to hang up his guns once they are married and become a storekeeper. 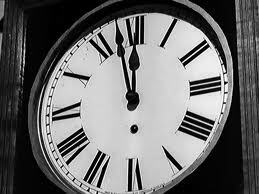 But then word arrives that Frank Miller is coming in on the train at high noon. Miller had been arrested by Kane and sentenced to hang, but got off on a technicality and is now returning to Hadleyville for his revenge. His gang is already at the depot, waiting for him to disembark. Kane decides he has to remain in town and do his job -running would only delay the inevitable. Plus, the town might suffer in his place if he ran. The minutes toward the crucial showdown click by in painfully real time. Kane's anxiety, and fear, grow with each passing minute. No one is willing to stand and help him defend the town, not even his deputy. His wife abandons him for being prepared to resort to violence. His friends in town hide from him when he comes looking for assistance, or make up excuses. He will be standing alone, and will have virtually no chance to survive. 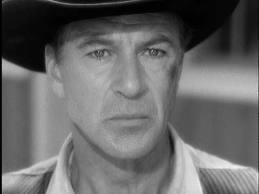 The emotion written on Gary Cooper's face earned him that Oscar. He is desperate; he is quietly terrified; he is betrayed and abandoned and grieved. At one point a little boy catches him with his face in his hands, crying. John Wayne was a better actor than a lot of people gave him credit for -but in my opinion he could never have pulled a role like this off. He could never have convinced the audience he was desperate and terrified. 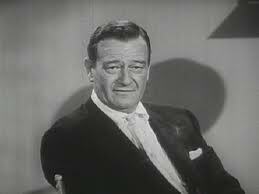 He would have gone out and faced the bad guys because he was John Wayne and that's what he did, and there would never be any doubt of the outcome. Gary Cooper looked like a man who knew he was going to die, and didn't want to. But who bit that all back and went out to do what he knew was right, even if no one helped him, even if he knew he would almost surely die. Of course -spoiler alert -he didn't die. He managed to wipe out the Miller gang -with some unexpected help from his Quaker wife, who came back to help him when no one else did, even taking a life. When it's over his "friends" come out of the woodwork, congratulating him, saying they knew he could do it all along. He gives them a piercing stare of righteous contempt and throws his badge into the dust, then rides away with his bride. Who, ultimately, did not forsake him after all. I've always suspected that the town's name, Hadleyville, was deliberately chosen to evoke Mark Twain's short story "The Man Who Corrupted Hadleyburg", about a town full of self-righteous people who are exposed as hypocrites and frauds. When I was a kid, I didn't have a male authority figure in my life to give me moral guidance. I sort of hobbled together, from popular culture, several different things to help me figure out what it meant to be a man. When I first saw this movie, at the age of 8, it indelibly impressed on me just what a man is, and should be. Not the tough guy who always wins -but the guy who does what he knows is right, despite the odds and despite the cost, and even when it's scary, and does not waver. Will Kane, Atticus Finch, and George Bailey became my role models -and still are. 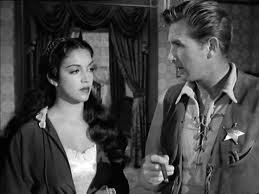 Or, as Katy Jurado says to Lloyd Bridges: "You're a good looking boy. You have big, broad shoulders. But he is a man. It takes more than big, broad shoulders to make a man." 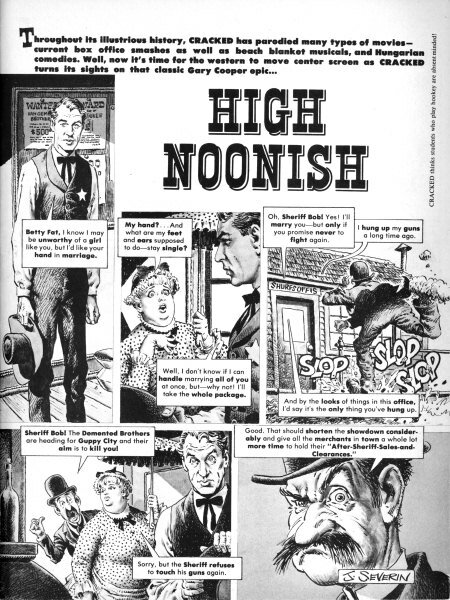 I was grown before I learned the fascinating story behind the story of High Noon. Carl Foreman, the writer and co-producer, had drawn up an outline for a screenplay that would be about a small-town western marshal, and unfold in real time (long before Kiefer Sutherland and 24!) When someone pointed out that the plot was similar to the John W. Cunningham short story "The Tin Star," Foreman bought the film rights to the story (if you've read the story, you'll know it's not exactly High Noon.) Then Foreman started working on the screenplay. During that process, he was called before the House Un-American Activities Commission to testify. It was the height of the Red Scare, after all, and Joesph McCarthy had already claimed that the State Department was riddled with Communist spies. Like many liberals, artists, and academics, Carl Foreman had been associated with the Communist Party in the 1930s. He had left the party after a short time, a decade before his testimony was called for. However, he refused to "name names" in what he considered a witch hunt, and was branded an uncooperative witness. He was eventually blacklisted, and had to move to England to get work. Foreman later claimed that his partner Stanley Kramer tried to get him off the High Noon project because he feared the repercussions of being associated with him; Kramer said their falling out was over other, non-political matters. Foreman was forced to sell his part of the production company, but the film's director George Zinneman and Gary Cooper insisted he still be involved in the film. 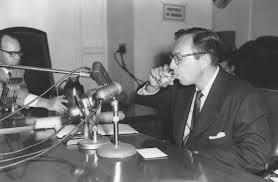 Cooper, interestingly enough, was politically conservative and a member of the MPA (Motion Picture Alliance for the Preservation of American Ideals, for which John Wayne was a prominent spokesman)... he had been labeled a "friendly witness" before HUAC, but had also refused to name names and later spoke out against blacklisting. John Wayne, in particular, hated the movie. In a 1971 interview, he called High Noon "the most un-American thing I've ever seen in my life," and said he had no regrets about helping blacklist Foreman. (Nonetheless, he accepted the Oscar on behalf of his friend Gary Cooper, who couldn't attend the ceremonies.) 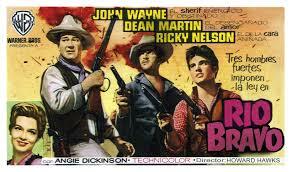 In 1959, Wayne teamed up with director Howard Hawks to make a movie in response to High Noon: Rio Bravo (incidentally, another one of my favorite westerns.) 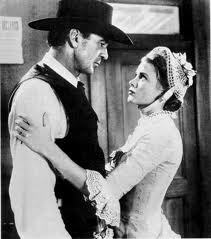 In Rio Bravo, the town rallies around their marshal. 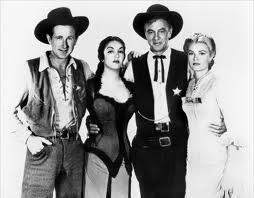 Howard Hawks later said: "I made Rio Bravo because I didn't like High Noon. Neither did Duke. I didn't think a good town marshal was going to run around town like a chicken with his head cut off asking everyone to help. And who saves him? His Quaker wife. That isn't my idea of a good Western." All of that information provides a fascinating look into the 1950s and the Red Scare. That's why I discuss it at length in my American History classes (my students hear about westerns whether they want to or not.) It also makes the movie an interesting view when you look for those alleged hidden messages. 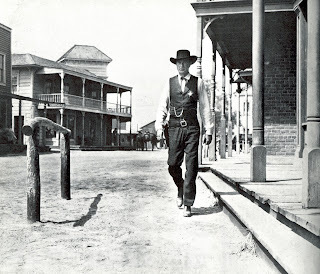 But the true power of High Noon lies in the story and the performances. 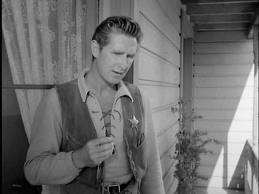 Will Kane is the most heroic town marshal of the movies -no matter what Howard Hawks thought. What, me again? I wrote about My Favorite Western Novel on Sunday -- all about True Grit, so if you missed it, here's the link. Today's post -- more about me. Probably *far* more than you want to know. Bear with me, folks. I ran out of ideas for a topic this month. I'll try to come up with something more interesting in May. 1. The most horrible day of my life was followed by the most exciting day. Usually Christmas is pretty happy and fun, but that year I was three weeks overdue with my first (and only) child. If I'd found a knife, I'd have ripped that watermelon out myself. Instead, I suffered through a sleepless Christmas Eve, waddled to my parents' house and then visited my in-laws Christmas Day. Next day my husband drove me to the hospital for induction, and the rest is history - but no natural delivery. Ha. I'm very grateful for modern drugs and hospitals. 100 years ago, my daughter and I would never have survived. No way. 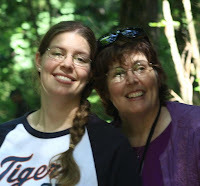 Now, she's my #1 fan, beta-reader, proofreader and idea-generator. 2. 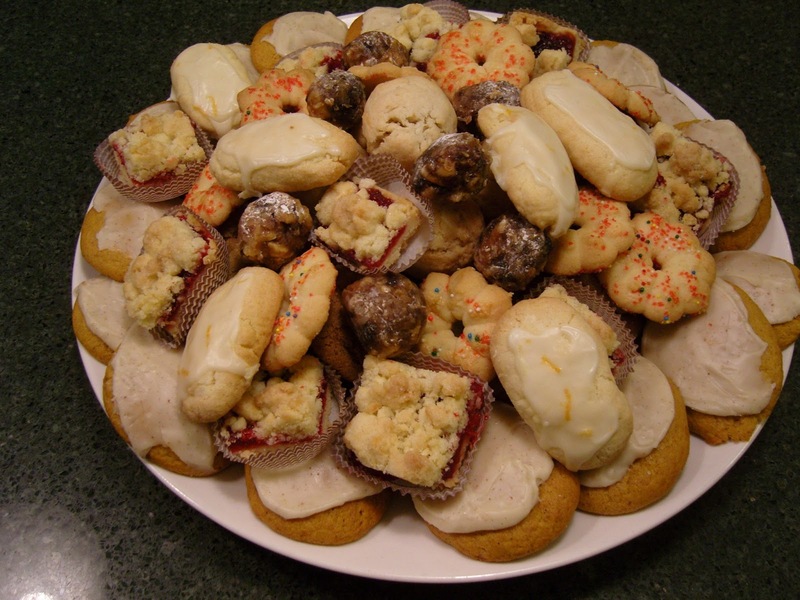 My favorite food is a cookie... or I should say a handful of cookies. I can't stop at one. Crunchy, plain sugar with icing, chock-full of nuts or M&Ms, or chocolate chips, or cranberries and walnuts, "icebox" or molasses, spiced with cinnamon, gingersnaps, lemon with powdery sugar, shortbread drizzled with chocolate, Christmas cookies of all kinds, Halloween haystacks or spiders - you name it a cookie, I'll try it. Mmmm. With tea or coffee. 3. My favorite car I ever owned was my first -- a pale blue classic Volkswagen Beetle with a sunroof, 1971. Stick-shift, too, so I had to learn to drive it after I'd bought it. 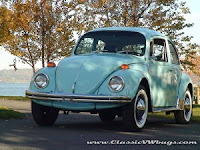 No heat to speak of in winter, so I kept a thick wool blanket to spread over my lap and legs, plus kept the ice-scraper handy to scrape the inside windshield so I could see to drive. But summer driving sure was fun! My best friend used to stick her head out the sunroof (while I was driving, of course) and sing at the top of her lungs. Oh yeah. Good times. 4. Something you may not know about me is that I teased my grandmother mercilessly about her nickname. The story? The first grandchild of her oldest daughter (my mother was the baby of the family) couldn't pronounce Grandmother. So she ended up calling her "Mim." By the time I came around, I called her "Mimsy-Pie," which she loathed. I was a brat, what can I say? 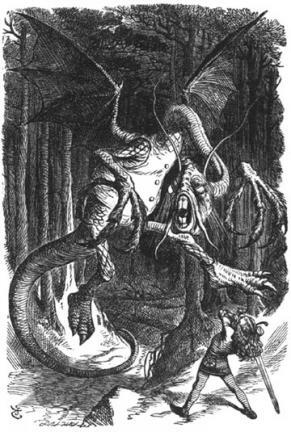 And I hadn't even read Carroll's Jabberwocky poem! Sooo, yep, you guessed it. When I met my husband and discovered his last name was Mims, I thought long and hard about how you can't mess around with God. He always has the last laugh. Trust me on that. And if anyone calls me Mimsy-Pie, I will smack them upside of the head. 5. I'm a product of the "melting pot" of the late 1800s. 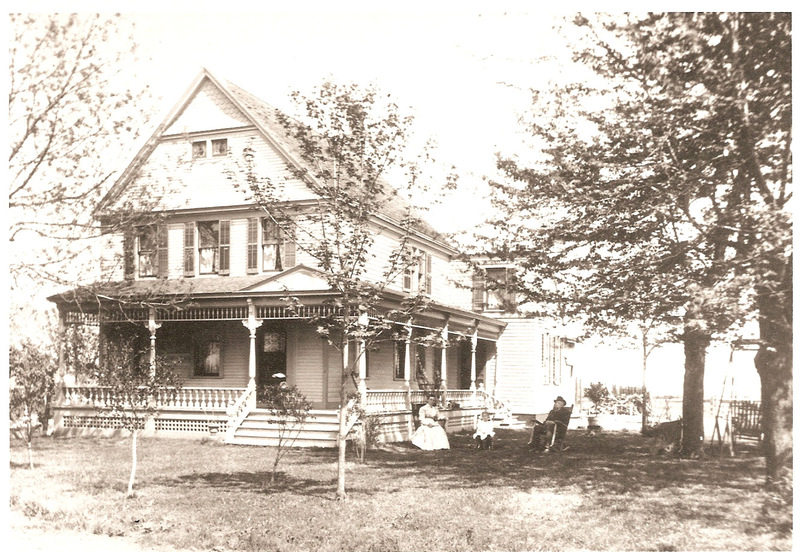 My maternal great-grandparents owned a prosperous farm in what is now Detroit, but back then was country. My great-grandmother, Adeline Maddelein (yep, her married name! Her sister-in-law was also stuck with a doozie, Madeline Maddelein), enjoyed having servants and took the interurban to shop in downtown Detroit at Hudson's. After selling the farm to a real estate developer after the turn of the century, they named the street after my great-grandfather. The name may be Belgian-French, we're not sure. My paternal grandfather, born in Kiev, came to America with five languages under his belt. That must be why I love studying words and slang, and making my heroines wealthy enough to have servants in my books. (wink) Sure... anyway. Hope you weren't bored to dust today! Happy Friday!! A mysterious explosion. A man framed for murder. A strong woman determined to prove his innocence. October, 1869: Lily Granville, heiress to a considerable fortune, rebels against her uncle’s strict rules. Ace Diamond, determined to win Lily, invests in a dynamite factory but his success fails to impress her guardian. An explosion in San Francisco, mere hours before Lily elopes with Ace to avoid a forced marriage, sets off a chain of consequences. 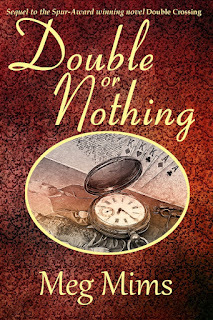 When Ace is framed for murder before their wedding night, Lily must find proof to save him from a hangman’s noose. Will she become a widow before a true wife? CLICK HERE TO SEE THE BOOK VIDEO! Out on the frontier a doctor would have to be prepared to deliver babies, splint and fix broken bones, and dig out arrows and bullets. 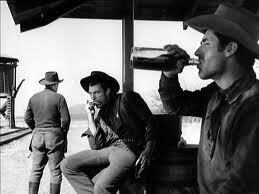 Tough work, if you then had to go and play poker and drink a little whiskey. But of course, in real life things are not quite as simple, so in this post I’m going to look at digging out arrows. In a later post we’ll talk about digging out bullets. I often mention that I live within arrowshot of the ruins of a medieval castle. The castle is a Norman motte-and-bailey, one of many built all over England after the Norman Conquest by William the Conqueror in 1066. It is called Sandal Castle and although it is very much a ruin now, it was once of of the two most important castles in the north of England. Along with Sheriff Hutton near York, it was the base for the Council of the North, effectively the government for the North of England as established by King Richard III. You may know him from William Shakespeare’s portrayal of him as the villainous uncle who had his two nephews murdered in the Tower of London. King Richard had started a rebuilding schedule a couple of years before his death. The farmland around the castle was the site of the Battle of Wakefield in 1460, when King Richard’s father, The Duke of York was killed and beheaded. It was a brutal battle fought with longbow, pikes, swords and battle-axes. 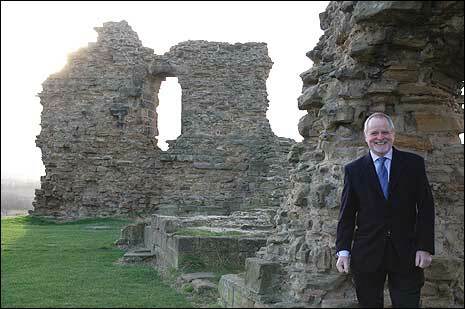 I am a member of the Friends of Sandal Castle, a group who try to maintain the castle’s image and its place in history. Among other things, I have an interest in the longbow, since it played such a part in English history. And of course, the bow and arrow is one of the most ancient weapons. Indeed, the invention of a weapon that fires projectiles a good distance enabled man to make hunting safer and more effective in the days of our earliest ancestors. Inevitably, as a swift weapon against other men it had no equal for many millennia. In a paper written in 2001 in World Journal of Surgery, Karger estimates that in the history of warfare, arrows have killed more people than any other weapon, including firearms. The ruins of the Great Hall at Sandal Castle. The moat is beyond the far wall and archers would have defended the battlemented walls. 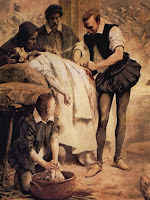 It is an old maxim that surgeons adapt their techniques to the injuries of their times. The more trauma that is seen, the worse the injuries, then surgeons develop operations and methods to deal with them. There is a misconception that surgeons were an ill-trained lot of butchers in days gone by. 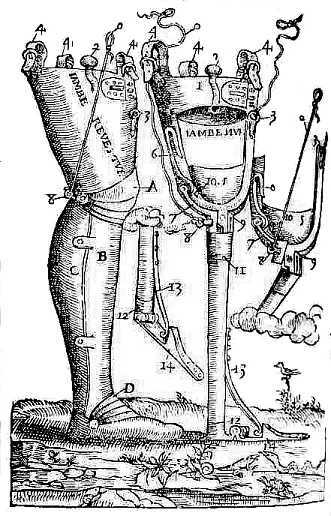 In fact, in medieval times surgeons were often highly skilled and ingenious people. Having good surgeons in your army or navy was reckoned to be utterly essential, for people suffered horrific injures and needed to be treated. Arrow wounds were a major cause of death and morbidity. At the Battle of Shrewsbury in 1403 Prince Henry , who would later become King Henry V (all this is recounted in Shakespeare’s Henry IV Parts I and 2) was wounded in the face by an arrow. It apparently entered at the side of his nose, and according to the prince’s own surgeon, John Bradmore, it went in to a depth of almost six inches. Impossible, you might say. And again, how could he survive? Well, it is possible. This could well have been a penetrating injury that went in below the brain. He was undoubtedly lucky to survive, yet the skill of his surgeon is incredible. John Badmore treated the wound with honey, crafted a surgical instrument to screw into the wooden shaft so that he could extract it. Then he washed t out with alcohol. The patient was left with his battle scar, but also with great credibility as a warrior. He went on to become the hero of the Battle of Agincourt. A large part of his success at the battle was his deployment of English longbowmen. 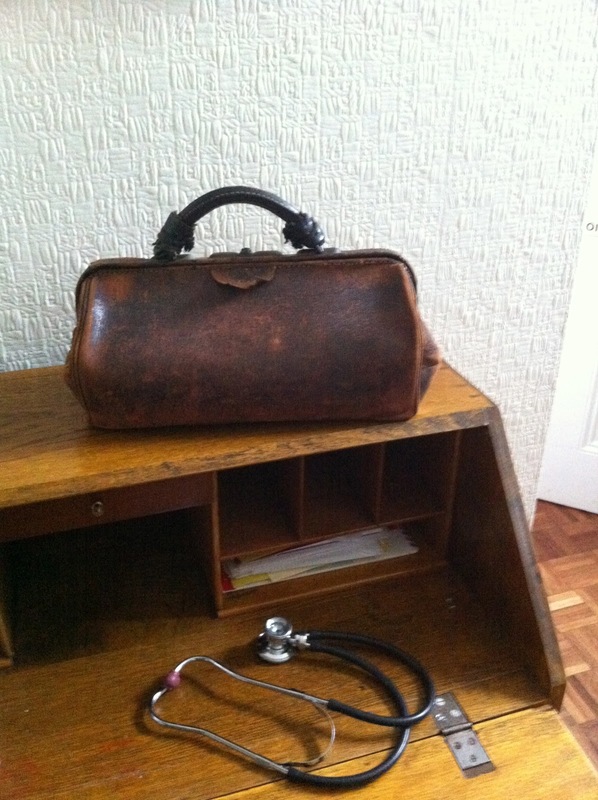 The art of medicine is to cure sometimes, relieve often and comfort always. Ambroise Paré was true to his words. He became one of most influential anatomists and is regarded as one of the fathers of modern surgery. He devised means of treating wounds, invented prosthetic limbs and he introduced the technique of ligating arteries, rather than cauterizing them. Significantly, he established battlefield surgical techniques that greatly improved the chances of a casualty's survival. 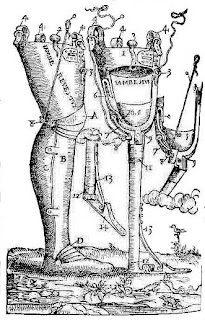 Various prostheses invented by Ambroise Paré. Arrow wounds were, of course, common and Paré developed a pair of forceps for removing detached arrowheads. The uppermost of the two drawings below shows the forceps and the lowermost shows them being inserted into the arrowhead to remove it. Of course, there were many different types of arrowheads,several of which barbed. Removing them would cause further damage, if they were simply drawn out. That demanded greater ingenuity on the part of the surgeons, who developed dilators and other instruments in order to protect the tissues as well as they could and allowed them to retrieve the arrowheads. One of the best sources of information about arrow wounds in the modern era comes from a paper by Dr J H Bill, an MD and Assistant Surgeon, published in the American Journal of the Medical Sciences, published in 1862. He wrote this paper from his own experience as a surgeon on the frontier. He begins by describing how arrows are made, which is really crucial to the understanding of the problems involved with arrow wounds. Basically, the arrow has a shaft and a head. The shaft would vary in size from two to three feet, generally being made from dogwood. The head would be inserted into a slit and lashed to the shaft. The head would be made of iron, varying in size from half an inch to two and a half inches n length, and about half an inch to three-quarters of an inch in width at the base. The lashing was done with tendons, which were tied tightly and allowed to dry to tighten them further. This is also of importance to our understanding, because once an arrow penetrates the body the tissue fluids and blood would cause the lashing tendon to swell and come loose. Any attempt to pull the arrow out, as people were wont to do, would simply cause the shaft to come out, leaving the potentially lethal arrow-head inside the body. Dr Bill describes the relative frequency of arrow wounds. Wounds to the upper limbs were the commonest, because you could see an arrow coming and attempt to fend it off, only to sustain a wound, probably hitting and lodging in bone. Then came abdominal wounds, then chest, then lower limbs, then head, and lastly neck. Multiple arrow wounds were common, since a bowman could fire off six arrows per minute and once a person was hit once, they would be easy targets for the second and third. The following are his recommendations for wounds to non-vital parts of the body. 3. This removal should always be effected as soon as possible after the receipt of the injury, and the greatest care taken in doing so not to detach the shaft from the head of the arrow. 4. Always use the finger to explore the lodgement of an arrow-head and to determine if it is bent or straight. 5. If we fail to detect or to extract an arrow-head lodged in bone, we wait a few days, trusting to suppuration, tents, position, etc, and then search again and again for it. 6. If we fail in removing the foreign body by these means, we operate, making large incisions and compressing the artery of the limb. He also advocated using a magnet to attempt to detect the arrow-head. To remove arrows lodged in the chest or the abdomen he stated that it was vital to get the arrow-head out, otherwise it would be fatal. To do so he advised using a Coghill's suture twister, a long probe, basically, which could be used to pass along the length of the arrow shaft, bearing with it a loop of wire suture. This would be done after making a large incision to permit space and subsequently ease the extraction. The loop would be passed over the tip of the arrow-head and then drawn tight. It would then be twisted around the shaft, thereby ensuring that traction on the shaft would not cause the head to separate. And out it would come! Then, clunk! Into the bowl.